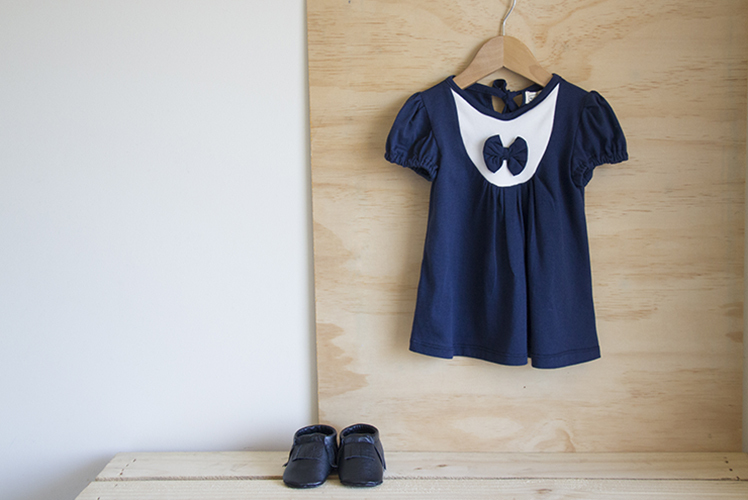 FK chats to Caroline of organic fashion wear label Mosov and their latest focus on babywear with Mosov Mini. Catch these cuties with our debut stalls at our Brisbane SS14 markets this November! Can you tell us about your lovely label Mosov and what we can expect to discover? Mosov in an Australian fashion label focusing on organic and natural materials started in 2014. At the moment we are focusing on the sub-brand Mosov Mini which is babywear. At Mosov it is very important to provide clothing and footwear that is child appropriate as we live in a society that encourages children to grow up too fast. You can expect fabric illustrations that are childlike, cute and whimsical. Our clothes use organic, natural and recycled materials, giving customers peace of mind in knowing they are supporting a sustainable fashion label while also helping the environment. Who are the team behind Mosov and what are their roles? I work very closely with my Mother who is also my biggest creative inspiration. Together we sew and design Mosov products in our home based studio. My role is to design the fabric patterns and graphics. Mosov is my label I started after I graduated my Bachelor of Fine Arts. I am also responsible for most of the production and looking after the other aspects of a small business. My mother, Maria, helps me with the production and shoe design. She is a self-taught sewer and is incredibly talented creatively. 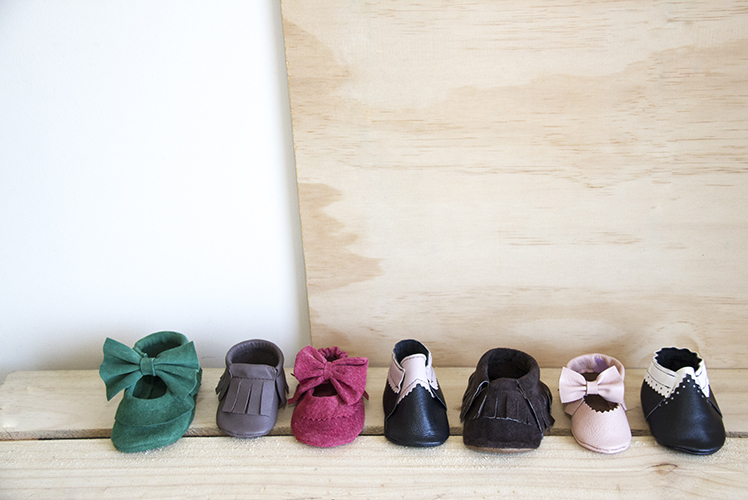 What do you love about working with baby clothing and footwear? What keeps you creatively motivated? I love seeing my designs on physical objects. To me it is more fulfilling to see my artwork being used as an every day object. I chose baby clothing because I absolutely adore babies and I love illustrating patterns and clothing that invoke the innocence of childhood. Babies are beautiful enough without needing loud outfits. I stay creatively motivated by experimenting with different art techniques and mediums. I am very passionate about design and illustration so it isn’t very hard to stay motivated doing what I love. My workspace is a bit here and there. I keep my creative design space separated from the production studio as I do not want to mix the two. Production can be a tedious and boring task so I don’t want it to affect the creative process. I start off with brainstorming ideas and themes. I then make a lot of sketches that I then create into digital images (vectorise). From there I add colour and create a repeatable pattern that is then printed onto fabric. Where do you source materials for your range? Are there challenges in doing so? At the moment all of my digitally printed fabric comes from the U.S. The biggest difficulty with this is the time it takes to get here and the shipping costs involved. I am looking for a local Australian printer to print on my own supplied fabric, but because I am so new to this industry it is quite overwhelming trying to find someone. I was lucky enough to source a large quantity of Australian made and dyed organic fabric this year from an Australian fabric manufacturer. Unfortunately they have since closed their doors. I source my leather, mostly off cuts, from local leather shops. I also source our recycled leather from local unwanted leather garments and goods. What new projects are you working on and where would you like to see Mosov in the future? At the moment we are still working on the Spring and Summer collections for the babywear line. We are also working on creating summer footwear which is very new to us so we are currently in the process of creating lots of prototypes. I would like to see Mosov expand to menswear, womenswear and homewares in the future. I would like Mosov to be a fully sustainable business as being a good steward of the earth is very important to us.